When you rely on SSS Luxury Transportation LLC, you know you are going to get the best limo service available! The dependable drivers with SSS Luxury Transportation LLC will get you where you need to go in a timely manner! 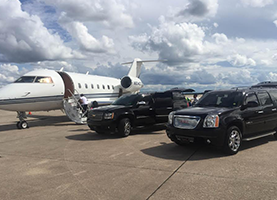 For dependable transportation in stylish and comfortable limos and black cars, SSS Luxury Transportation LLC has exactly what you need. Whether for a special night out on the town, a ride to the airport, or just shuttle service for you and your friends, we will get you where you need to be safely and for a great low price. 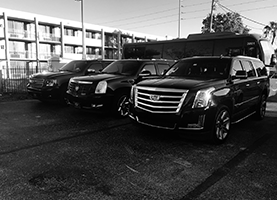 The drivers with SSS Luxury Transportation LLC are professional experts and have years of experience driving our clients around the Orlando, FL area. Always professional and courteous to you and your guests, we will get you were you need to be safely and on time, guaranteed. The back cars we use include Mercedes Benz, Escalade, and Suburban models. When you want to make an impression for the special people in your life, we have the means to do so. All of the rides available through us will arrive to you clean and ready to handle your needs. With regularly scheduled maintenance programs, you can rest easy knowing the automobiles we use will never break down and cause hassles. There is literally no better way to travel in style and safety when you have a special trip or night out planned. 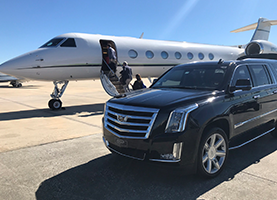 If you would like more information about limousine services, corporate travel services, or airport pick-up services with SSS Luxury Transportation LLC, please contact us right away. One of our representatives will be happy to assist you with all of your transportation needs!